Is the iPad set to be a PSP and DS killer or a gaming letdown? According to a recent YouGov poll, 70 per cent of British adults are now aware of the existence of Apple's new iPad, although a shockingly high proportion are still asking the infernal question: "But what is it for?" 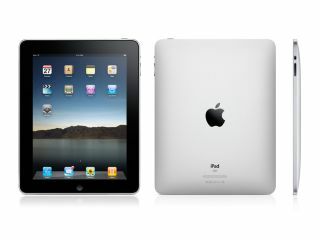 Most knew that the iPad had a touchscreen (72%) and that it can connect to the internet via Wi-Fi (65%). But quite a lot of people still think that the iPad can make telephone calls (37%), has a camera (38%) and that it has an OS capable of multi-tasking (54%). Aside from confirming two well known facts (most people don't pay much attention to the small print and any new device from Apple gets lots of PR), YouGov's poll was marred by one flaw. It didn't provide any information or data of any interest to people that want to play games on computers. But we care about what games we will be able to play on the iPad. And how. And who is making them. And who is funding them. And which are the best. For the same reasons, we also want to know more about the new tablets on the way from PC manufacturers such as MSI, Asus, Lenovo, ViewSonic and all the many others that are hurriedly readying their own touchscreen tablet PCs for launch this spring. One thing is for sure. Sony and Nintendo were both a little too quick to dismiss the iPad as "a bigger iPod touch" that offered "no surprises" (Nintendo CEO, Satoru Iwata) and (in an incredible display of disingenuity from PlayStation marketing man John Koller) as "a net positive for Sony [because] when people want a deeper, richer console, they start playing on a PSP." Reading not very far between the lines here, those reactions stink of short-sighed panic. To wit: Apple has put the fear of Jobs into the gaming giants. "The App Store ecosystem and in particular the existing billing relationship with customers is a massive advantage for iPad," says Firemint Games' Community Manager, Alexandra Peters – the developer of the hugely successful Flight Control for iPhone. "Buying any content from iTunes is an incredibly smooth discovery and purchasing process. Apple tightly controls both the software and hardware experience to the extent where you don't think about them as separate aspects of the one device, and that will be very difficult to rival in a device where the hardware and software have been developed separately. Manufacturers are still playing catch-up with the iPhone, and it seems likely that the same thing will happen with iPad." So are other games developers getting as excited as we are about the possibilities that the bigger multi-touch screens on the iPad and the Asus Eee Pad and other such devices might open up for interactive entertainment? We spoke with a few of them to find out. "Thinking about mobile [phone] gaming, it has kind of been a bit of a white elephant for a while now," says Nvidia's PR Manager for the EMEAI region, Bea Longworth. "I remember back at Mobile World Congress in 2006 and 2007, when the industry was talking about the mobile gaming revolution and how it was 'almost here'… well, it is 2010 and it is still not quite here!" Nvidia is, of course, leading the tech charge of providing decent'ish graphics on these new low-powered, long-battery-life tablet PCs . "It will be interesting to see what kind of impact tablets have on gaming," says Longworth, "as their form factor does generally tend to lend itself much more to a better gaming experience, because these devices have been specifically designed to deal with HD video and with multimedia content online, so they are much more capable of giving gamers a really nice graphical experience without absolutely nuking the battery!" Limited battery life has always been one of the main problems with mobile gaming, whether or not you are playing 'proper' games on your PSP or DS or those daft-yet-infuriatingly-addictive casual games on your mobile phone. "So these new tablet PCs might well have a big impact on gaming," thinks Nvidia's spokeswoman. "Obviously then though, there is still all of that backroom stuff that is still to be done, in terms of developers being able to easily produce content for a wide variety of different platforms." This is where Apple has a big advantage because it can provide a guaranteed market and a wide user-base for developers making games and applications for the iPad and its other devices. "Plus, the fact that users are going to be able to port iPhone and iPod touch applications to the iPad is going to be a big deal," says Longworth. "I think you will see a big rush of developers taking the new opportunities they now have with the larger screen size and the new types of touch capabilities to make some interesting new types of game content. Which is one thing that the iPhone has really done, encouraging developers to come up with new ways of gaming that exploit the touch capabilities." "Looking at the [iPad launch] event, Apple unveiled pretty much what most of us expected – but it wasn't until a bit later that it hit me what is so great about this. I've never before seen a computer that is so designed for consumers. "It goes straight into the stream of iPod, iPod Touch, etc. Sure, it's using general-purpose chips behind it, so it's not like it can't do "real" apps, but the focus is here 100% on consumers. That means games." The Unity man sees the Apple iPad launch as nothing less than "the launch of a new console" and celebrates the fact that Apple gets the whole "make life sweet for developers" thing because "the hoops you have to go through to develop, publish and get paid are crazy low. "If you're one of those people who think the submission process is slow/bad/bloated, just try becoming a registered developer with Sony or Microsoft," adds Francis.